What is Funny? is the 5th title in Etan Boritzer’s best selling What is? series of Life Concepts books on character education and social issues. What is Funny? 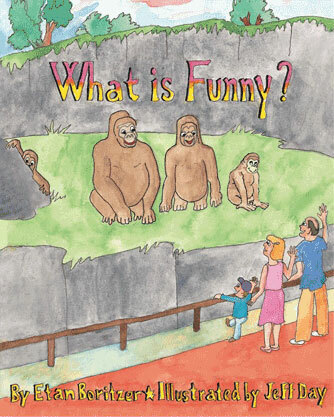 book addresses the subject of sensitivity and awareness in humor. Laughing at others or laughing at oneself, or laughing for no particular reason at all, author Etan Boritzer approaches the various subtleties of this basic human activity asking what is appropriate and what is hurtful, while tackling issues of taunting and teasing, bullying and aggression—issues that are very much in the focus of our nation’s schools today. Suggesting a gentle and conscious, multicultural message of compassion, understanding and acceptance, What is Funny? helps children, parents, educators and child professionals explore a subject too often easily glossed over.